PROVOQUETM contains Alpha-2-HS Glycoprotein (fetuin), a molecule that is secreted in large quantities by young cells. PROVOQUETM Facial Serum is currently available for purchase through authorized physicians. To find a physician carrying PROVOQUETM near you, use our find-a-physician tool. 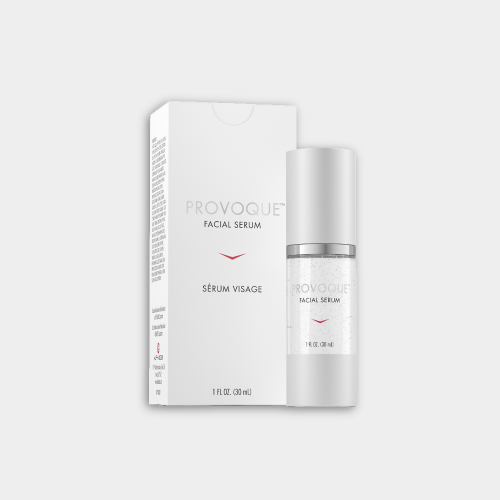 Containing factors present during the development and maintenance of youthful skin, PROVOQUETM Facial Serum is a new approach to addressing the visible signs of facial skin aging. Directions for use: Apply one pump and gently massage over the entire face twice daily or as directed by your physician or skin-care professional.